winnie & walter blog: Special Guest Star, May Flaum! 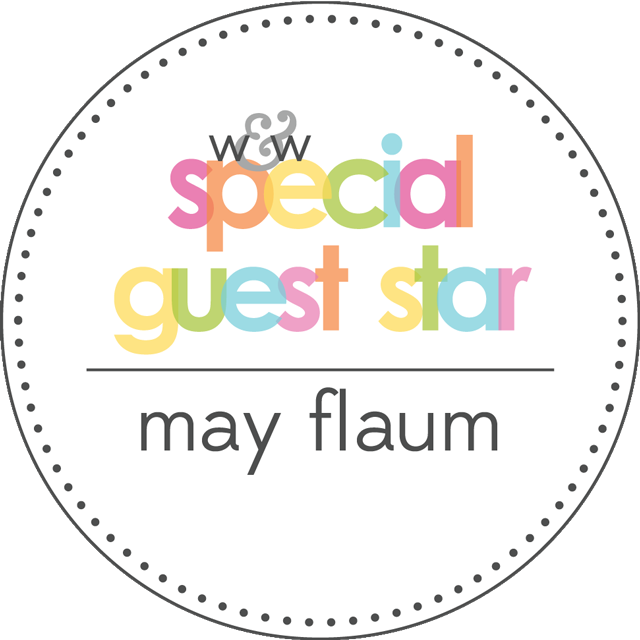 We are so thrilled to bring you our Special Guest Star, May Flaum today! You may know her from her appearances on Paperclipping Roundtable, took a class or two from her, read her book or know her from her grand artistic adventures with Simon Says Stamp. Shay has been following her work ever since she was on the design team of Scarlet Lime oh a few years ago. 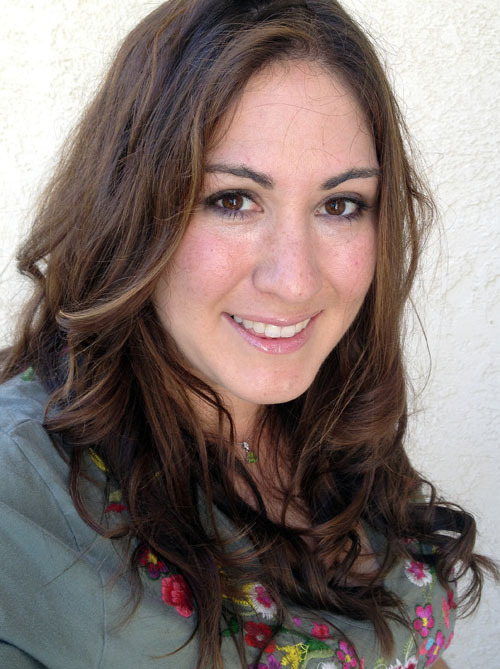 :-) Having met this truly lovely lady in person, her intelligence, thoughtfulness, humor and talent shines bright and true. May is such a genuine person who is concerned about the realities of the everyday crafter and someone who cares about crafting. Of interest to Walter and Winnie is she has two darling dogs named Scrappy (check out Scrappy with a card using one of our stamp sets HERE and it doesn't hurt that she looks a bit like Winnie's little sister Violet) and Ranger (to see a bit more of these two cuties CLICK HERE)! Wait until you see her gorgeous projects! When I’m not camping or traveling with my family you can usually find me tucked away in my studio creating up a storm! From mixed media canvases to art journaling, scrapbooking to thank-you card making I love all things crafty! This summer I’ve got an all new on-line class coming to my website (www.craftwithmay.com) featuring everything from cards to layouts to techniques! For more information on Camp Scrap or any of my other classes, or to see more videos and projects be sure to check out my site or my YouTube channel. When it comes to stamps like this, I’m all about coloring! So far, my favorite is to color with a variety of watercolor mediums. 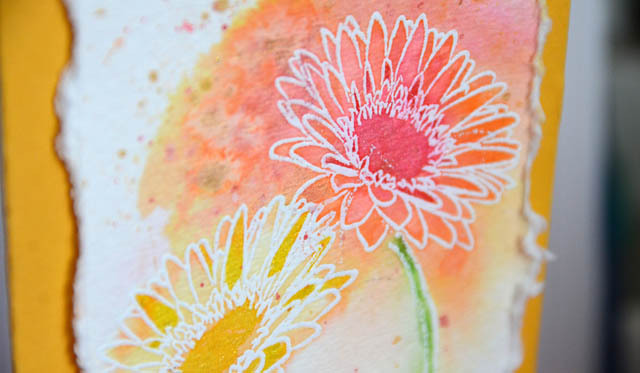 You can use any medium you happen to have – as long as it blends with other colors! 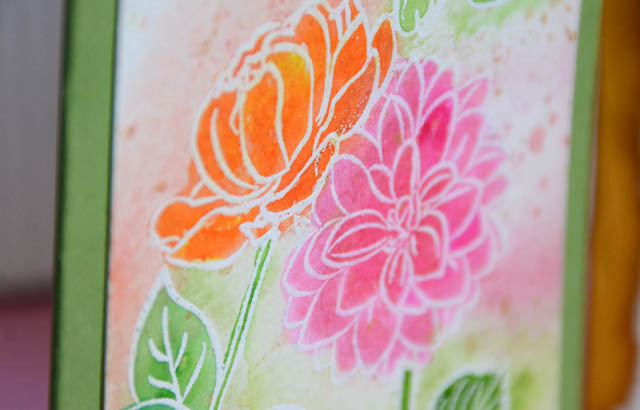 This is such fun to play with, and if you are going to use white embossing as I do, bold colors work best. 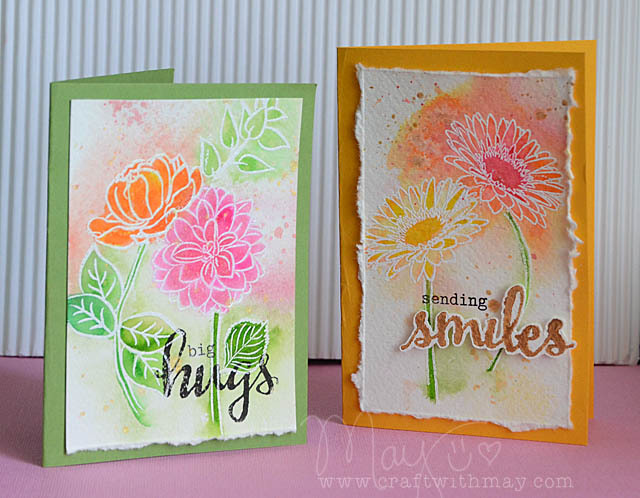 Today I’m happy to share a video tutorial with you, sharing how I made these cards. Wow! These are gorgeous! I love the colors you used and the technique looks like so much fun. Gorgeous card and great video, thanks, May! WONDERFUL and so informative!!! Well done and loved the video!! wow!! so pretty!!! love both the cards.. 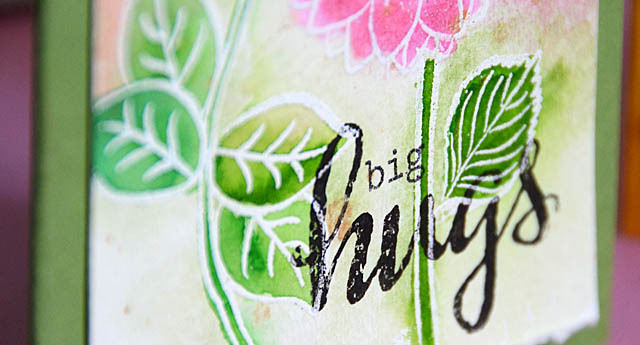 Very beautiful white embossing with water colours!!! Your cards are sure to brighten someone's day!